Today's blog intends to be quite practical. My subject is composing electronic music but, immediately, I find myself in the middle of a quandary. Composing is quite an old word, first no doubt applied to orchestra style music, which means to write music. But my pre-reflective thoughts on how electronic music is made make me doubt if its an appropriate one. Is electronic music in our day and age "composed"? Is it even written? These are quite classical notions about how one goes about creating pieces of music and are an example of how past, conventional notions get carried forward without being quite appropriate. The sense is of something done with aforethought and yet, it seems to me, for many, including myself, this is not how they make electronic music at all. 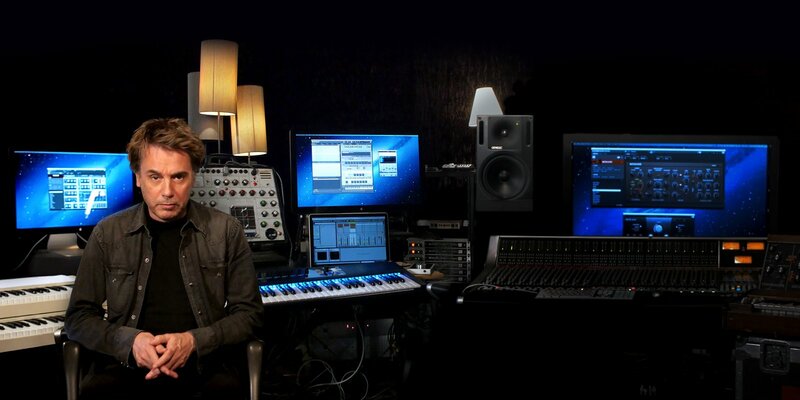 Jean-Michel Jarre has an array of gear of all types yet strikes you as "a composer" of electronic music in a quite traditional way. Of course, I am sure that there are those who, to all intents and purposes, imagine that they are doing classical composing. Such people will work note by note, probably writing out a score in traditional musical notation, for the purposes of expressly producing a musical score. This, after all, is what composing music is if you think like this. This is traditional music with an electronic sound palette. People doing this probably use traditional musical keyboards. But I cannot imagine that this involves many people. How does one score an acid bassline or an abstract, atonal sound collage? Working the classical way, then, tends to suggest limited styles of music. But there are plenty of non-classical, citizen electronic musicians in cities across the globe who know nothing about the musical theory this might require. Such people would not know their A flat minor from their G sharp major. Nor would they care to know since the consequences of any difference would never have arisen in any music they have ever made on an electronic device. So immediately something I've highlighted in previous blogs comes to the fore. This is that whatever modern electronic music is it is something taken out of the hands of professionals schooled in an old fashioned discipline. Require someone playing with samples on some app on an iPad to learn musical notation or take lessons in harmony and counterpoint and you will be greeted by a blank stare of bewilderment. This will likely not only be because they have little grasp of what is being asked of them but also because it will be totally inappropriate to what it is they are doing. There are lots of words we could use to describe most electronic music these days (which I like to refer to as citizen electronics). Instinctive, etherial and temporary are just some of these. I venture to suggest that much music made with electronics today is merely "music of the moment," as it were. Developments in both media and culture have created a landscape in which music makers have been encouraged to make their collection of sounds, post it somewhere, and then move on. Of course, I don't just put this down to "media and culture". People generally seem to have become more momentary. A lot of music these days isn't even formal pieces of music at all. Its You Tube jams (or their equivalent elsewhere). In some ways this is analogous to what I imagine in former times must have been sing-a-longs or piano playing in the front room at home. The thing is that these days we have sound and video recorders in our hands, bags or pockets and so every moment has the potential to be captured. So much electronic music today isn't "a song I have composed". Instead, its "three minutes of me twiddling knobs or moving my fingers across a screen not to be taken too seriously". The fact that others post numerous tracks or videos like this encourages others to do the same. A culture is built up. Some people sniff at this. (I've had replies to previous blogs where apparently trained musicians have bemoaned the fact that today many music makers know nothing about music theory.) They see it as a degrading direction for music to take. They see old skills and an appropriate seriousness being whittled away by a very modern, soundbite-obsessed triviality made up of music for people with 30 second attention spans. What cannot be doubted is that electronic music devices, the culture they are used in and the opportunities new technologies have brought, democratizing and de-professionalizing music making in the process, have changed what music is and how it is seen today. Witness the almost daily requests for "free music" these days as one consequence of this. There is now so much "music" in the world that in many places it is almost a worthless commodity. Such consequences are not my topic for today though and so we must merely note this and move on, asking how this citizen's electronic music is made instead. One immediate way that comes to mind is looping. Looping has been greatly facilitated and encouraged by new technologies, both hardware and software, and these have helped not just pure electronics players but people such as guitarists as well. But looping, particularly of the electronics kind such as we find in a software like Ableton Live, does tend to produce certain types of songs and it encourages you to think of a musical work as merely the building and layering of loops or phrases (obviously). A method, a habit, is encouraged. 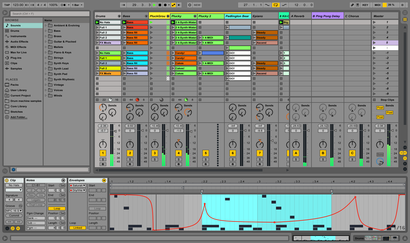 Other softwares, encouraged by Ableton's success no doubt, have similar phrase looping or block-building capabilities. Of course, the idea of a musical phrase is itself not new but people are lazy, habit-forming. It is very easy to "go with the flow". In a world where there were few musicians about this wouldn't be a problem. But what about a highly technological world in which millions of people are making music the same way and all posting it to the Internet? Differentiating yourself, creating a unique musical identity, becomes an issue. Creating loops and clips in Ableton Live. Another way I think much electronic music is made today is somewhat by instinct or "by feelz" to use the vernacular of our time. What's more, saying it is "made", a rather vulgar but more appropriate description than "written" or "composed" perhaps, is probably the best we can do. 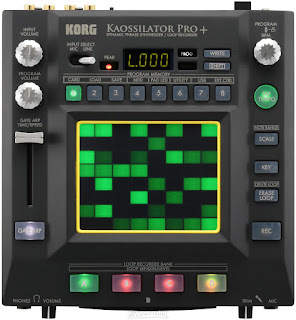 Electronic music today can be swiping your fingers across touchscreens on computer programs (or hardware devices like kaossilators). It can be generating static or high-pitched squeals from electronic circuits that are either hacked or re-purposed lab equipment. It can be be wiring and re-wiring very scientific looking things that don't, at first glance, seem very musical at all. Its hard to say that music is composed or written this way. Such devices do not sit easily within such a description. Instead, its seems its much more the case the music made in such ways is about some connection between the user of the equipment and the equipment used. Its about creating a moment or a feeling, capturing something that only existed there and then. This is the opposite of sitting down intending to write some objective thing. This, indeed, is subjectivism. There can be no doubt that today a citizen's electronic music has been established. This was something that, a few decades ago, the electronic composer Morton Subotnick foresaw, although it is doubtful he saw it happening so soon. Today almost anyone with only a few units of their local currency can buy some device or program and make a passable attempt at a piece of electronic music. To some, this is progress pure and simple. But it changes things. In former times music making was based on skill and training in quite a formal way. Even those not professionalized as musicians or composers had need to train themselves to do what they did in non-formal contexts. But today anyone can walk into a store or log into an online shop and purchase devices that come with little training or musical learning required. I think that many of the people who do this don't get any musical training or do any musical learning either once they have what they wanted. What is happening here is not an extension of some professional discipline at all. It is as simple as someone's untutored musical expression. 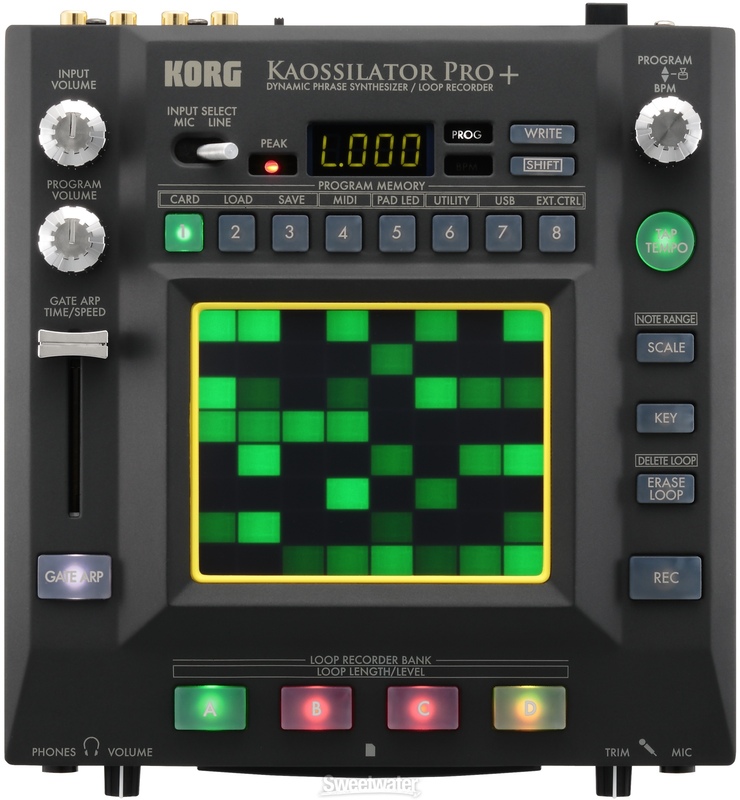 Would you describe making music on the Korg Kaossilator Pro as "composing" or "writing"? Sometimes this results in new things or adaptations of old ones. "Finger drumming" on electronic pads would be a case in point here. Specifically technological developments would be things like turntablism or the playing of touch surfaces. There are improvisational and "once only" elements to these things. They are live performances captured rather than the rote playing of something purposefully and studiously written or composed. What's more, when one engineers in random elements or even takes the detailed direction of the music out of the performer's hands with complex or random sequencers, such as is possible on modular systems, for example, then distance starts to open up between the music maker and the music made. It then becomes legitimate to ask if we are even composers anymore or more like conductors deciding a broad direction or a feel but not responsible personally for every decision and every sound. It used to be quite simple. A composer wrote a score and a musician read the score and replicated it on their instrument. Today someone might switch on a thing, set up various parameters, let it run for a length of time, and then switch it off again, having captured the sounds it made in between. Its not the same thing. But both could sound equally musical. Compositional tool or sonic playtime? I'll be honest that I'm more than a little interested in how people who are these modern citizen electronic musicians go about making their own music. I'm interested in the processes they use. Partly, of course, this will be to do with what equipment they are using and this too will have been guided by the advertising strategies of gear sellers and the cultural choices of the groups they've been influenced by. But, regardless of that, there will still be personal choices to make about how to use what they have acquired. For me it has all been a very instinctual thing. I could, at one point, have gone down the formal route and learnt about chords and scales. But I veered off in a different direction. When I came back to making my own music I had become a person who just very much wanted to express feelings or ideas with sounds. Electronics enabled me to do that because it required little effort (!) apart from feeling a certain way and something to express that through. Electronic music offers a large and varied sound palette and requires little of the music maker to get started. Its easy access. To some this will be illegitimate. To them music is not worthy of the name unless some skill or knowledge is involved and to achieve something worthwhile is difficult. But even in a blog two days ago I quoted Brian Eno describing himself as "a non-musician". Eno was pointing out that music is about more than a formally adjudicated competence in some instrument or theory. Eno himself described his musical skill as a kind of "ingenuity". I think this ingenuity is what has been brought to the fore in this wave of citizen electronics as people make use of their touch devices, synthesizers, noise-making boxes, modular systems, computer programs, midi controllers and much else to give musical expression to things. Of course, having things does not equal having any musical sense or musicality. As more people make electronic music so more of it will be poor, unskillful and, in many ways, worthless. However, none of this negates our critical faculties or our ability to pick and choose. It may mean though, as we have seen, that there is so much music about it becomes hard to know where to find the good in amongst all the bad. Electronics has changed the world of music. What was once the domain of trained musicians and formal composers is now an area where any person with a phone and an app can join in. It is a democracy of opportunity. There will be a sense in which formal music needs to catch up with this development. However, the opposite is also true and all these new people with music making possibilities in their hands will need to catch up with music. For its not the case that all that went before in music is now worthless, swept away by citizen musicians as if they were sweeping away some worthless elite. The task now, as I see it, is for a mutual exploration of the new musical terrain that electronics open up. Who has yet mapped all the possibilities of a modular synthesizer, for example? Or who has catalogued all the possibilities of electronically generated and manipulated timbre? Some will be content with triviality and entertainment in the moment, of course. But for others new frontiers await. PS If anyone wants to say how they make their electronic music, and what they conceive of themselves as doing - composing, writing, making, performing, etc - I'd be glad if people left their own comments either below the blog here or where you see this blog posted. Thank you. 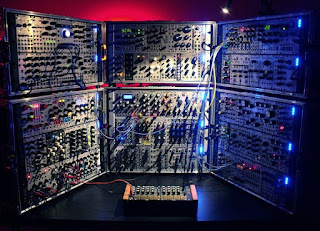 If you liked this discussion and want more please feel free to join my growing Facebook group Electronic Music Philosophy. Before all there was all this technology there was the guitar, which I used to describe as my "interactive record player". Rather than listen to someone else's music, I could entertain myself by making my own. I see modern technology as an extension of this idea. It has never been essential to have any formal musical training. However I think this is being replaced to some extent by a drive to turn us all into sound engineers and spend our money on boring stuff that consumes a lot of time without giving much pleasure. Like mastering software. I certainly agree there is "the myth of the pro" where everyone acts, and is expected to act, like they are some kind of sound professional. This is driven by commercial companies telling people that what they do isn't proper unless you have their stuff.